Thinking about Re-Roofing Your Home? When your roof has a leak and you need roofing restoration or you have	realized that there is some other type of issue with your home’s	roofing system, who can you turn to for quality repair or replacement? Although you may be tempted to try to investigate or fix the problem yourself,	this can lead to serious damage if you do not have the proper knowledge	and training. Fortunately, you can trust our skilled professionals here	at B & J Roofing to assist you! 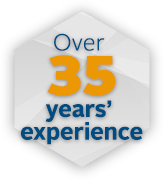 We have been in business for more	than 35 years, and we work with	various types of new roof materials. We have installed and repaired synthetic roofs,	low pitch roofs, cedar roofs and more. As a residential roofer, we are	experts in their fields and can give solid advice for any roofing project. Call our office today at (425) 868-1818 for more information! B & J Roofing was established in 1976! Since that time, we have been	leading roofing contractors in King County and Snohomish County. We serve	many communities in the state of Washington, including North Bend, Bellevue,	Kirkland, Redmond, Sammamish, and Woodinville. Our company is insured, licensed, and bonded, and we have earned a stellar	reputation over the decades for our rapid and reliable workmanship and	excellent customer service. We have provided thousands of homeowners with	quality roofing services while we have been in business! Furthermore,	our company has knowledgeable office staff and crews (including full-time	installers), and we back our services with a 20-year workmanship warranty. Request a Free Estimate from Our Reliable Roofers! Our team realizes that your home is likely your most valuable and important	asset, and we are here to help you make sure it is kept in the best condition. Whether you are hiring us for a roof inspection before the sale or purchase	of a house, in need of roofing restoration after years of decay, for roof	repairs after a storm, or for a new roof installation on a construction	project, you can rely on our professional team! We would like to provide	you with a	free estimate of our Snohomish and King County roofing services. Please give us a call today at (425) 868-1818 to request a free estimate or to make an appointment!